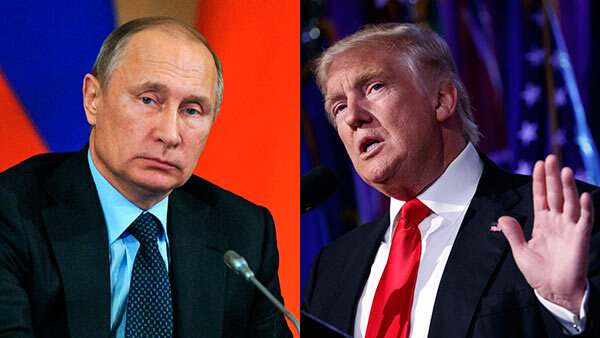 WASHINGTON -- President Donald Trump will hold a high stakes meeting with Russian counterpart Vladimir Putin when he attends the G-20 summit in Germany next week, the White House said Thursday. National security adviser H.R. McMaster confirmed that the meeting is one of several Trump has scheduled when he is in Hamburg, Germany, next week. McMaster and economic adviser Gary Cohn would not say whether the president intends to address accusations that Russia interfered in the 2016 presidential election, saying that the agenda is "not finalized" for this or any other meeting. All 17 U.S. intelligence agencies have agreed Russia was behind last year's hack of Democratic email systems and tried to influence the 2016 election to benefit Trump. Members of his campaign are also under investigation for possible collusion with Russia in the lead-up to the election. Trump has staunchly denied that he had any contacts with Russia during his White House bid. "Our relationship with Russia is not different from that with any other country in terms of us communicating to them really what our concerns are, where we see problems with the relationship but also opportunities," McMaster said. He added that Secretary of State Rex Tillerson is taking the lead on the discussions and "has been engaged in a broad, wide-range discussion about irritants, problems in the relationship but also to explore opportunities, where we can work together, areas of common interest. So it won't be different from our discussions with any other country."